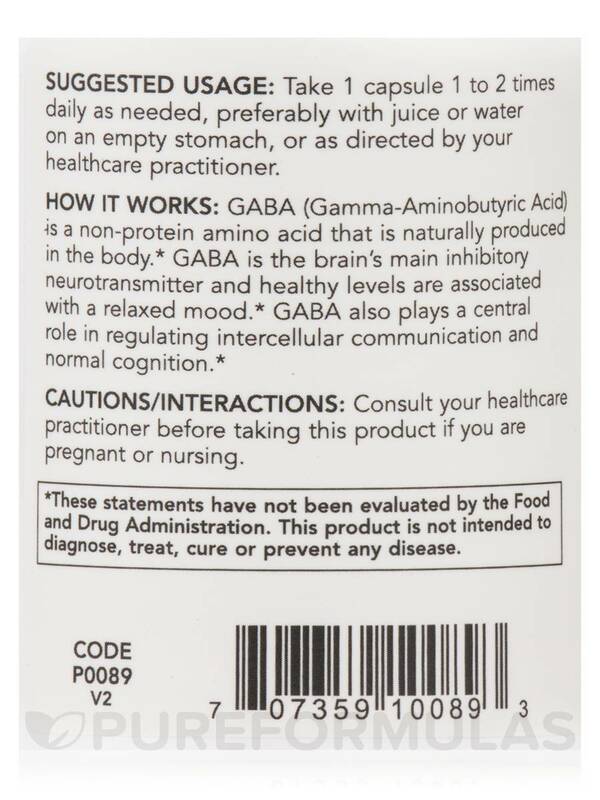 GABA (Gamma-Aminobutyric Acid) is a non-protein amino acid that is naturally produced in the body. 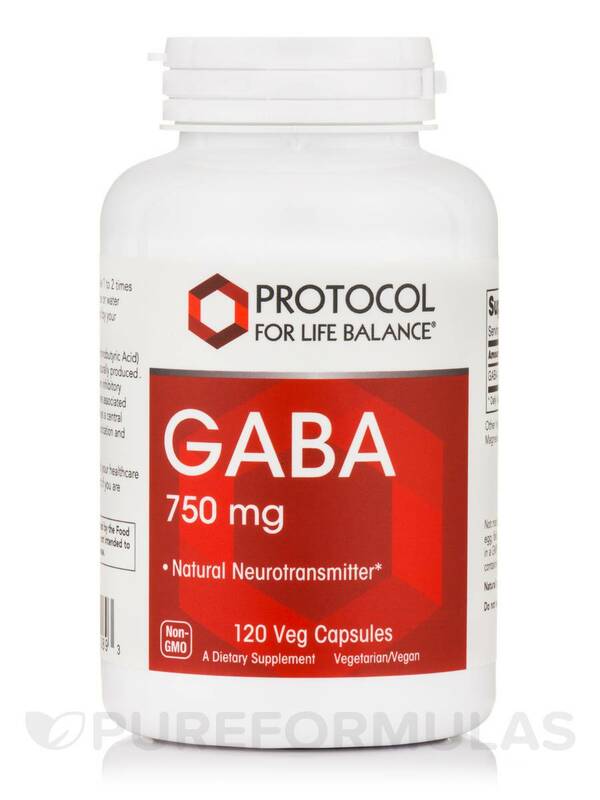 GABA is the brain’s main inhibitory neurotransmitter and healthy levels are associated with a relaxed mood. 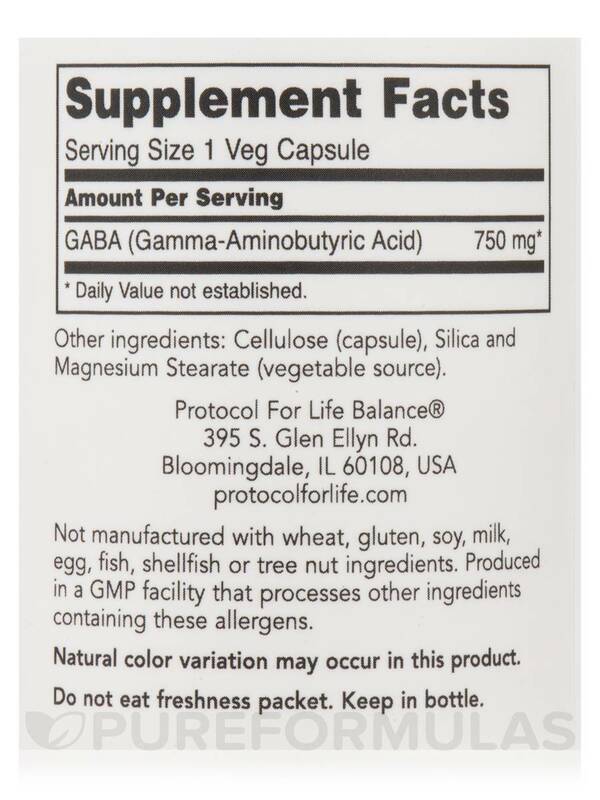 GABA also plays a central role in regulating intercellular communication and normal cognition. Non-GMO / GMP / Vegetarian / Vegan. 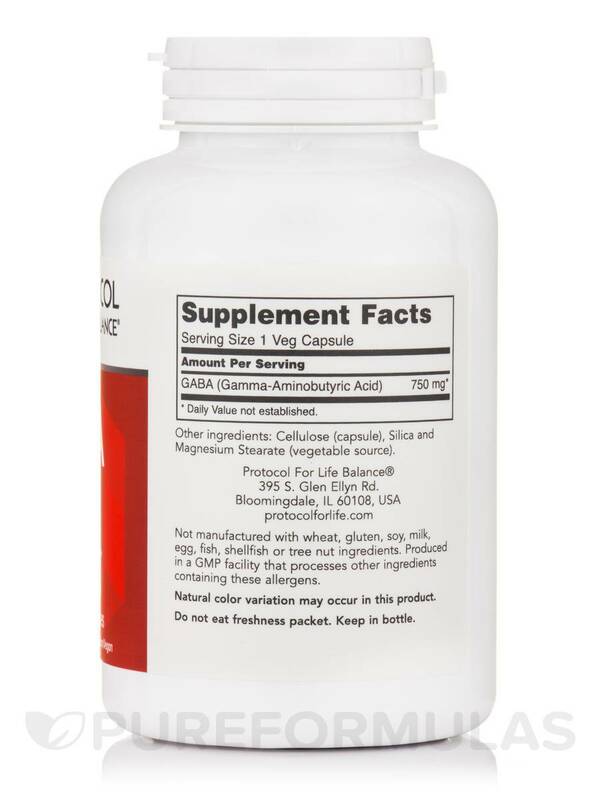 Take 1 capsule 1 to 2 times daily as needed‚ preferably with juice or water on an empty stomach‚ or as directed by your healthcare practitioner. 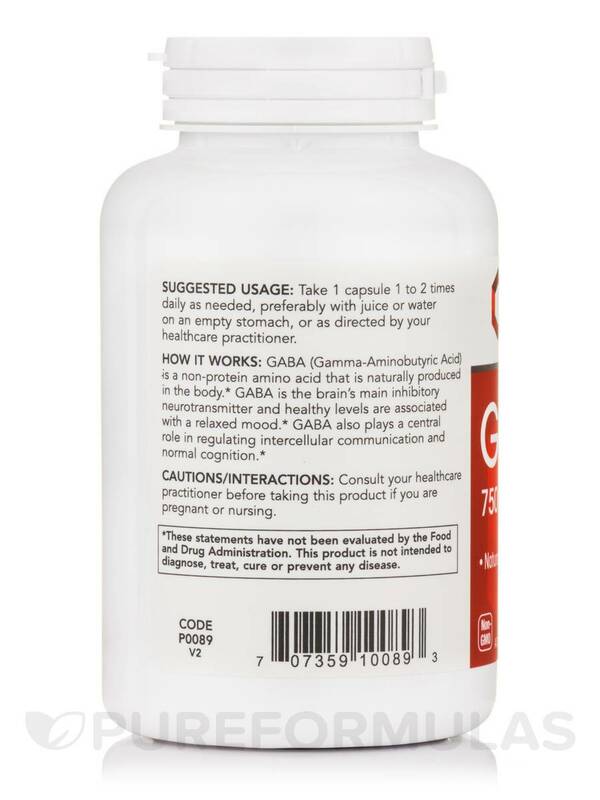 Consult your healthcare practitioner before taking this product if you are pregnant or nursing.